See how deep deception goes … in the sci-fi political thriller that has readers screaming for more. Two weeks after the end of The Beam’s first groundbreaking season, one thing is abundantly clear: the more the world changes, the harder those in power work behind the curtain to keep it all the same. With Shift, the NAU’s national election, now just days away, the country’s political parties fight even harder to win the citizen’s minds — minds that are almost all permanently connected to The Beam, addicted to connectivity more deeply than any drug. Only those with the courage to think for themselves can work to change what seems like a certain future. Meanwhile, using the screaming pundits on ubiquitous viewscreens as cover, an organization advances human enhancements further than they were ever meant to go — further than the struggling, crumbling NAU can hope to survive. Doc is still on the run after his near-fatal case of mistaken identity. Kai wants to help him, but not as much as she wants to protect herself — a job that’s becoming harder and harder.. Leah is stuck with old man Crumb, who has emerged from madness into lucidity with sudden, almost frightening speed. And Nicolai wants nothing more than to cut ties with the Ryans, who have controlled his life since long before he knew their true purpose … but politics is a dirty game, and no one gets away clean. Shift is heating up. All the petty games played around it have had their stakes raised to lethal levels. And in the face of its relentless, implacable advance, not everyone will make it out alive. Continue the thrilling series that readers are calling the greatest thing to hit sci-fi in decades. 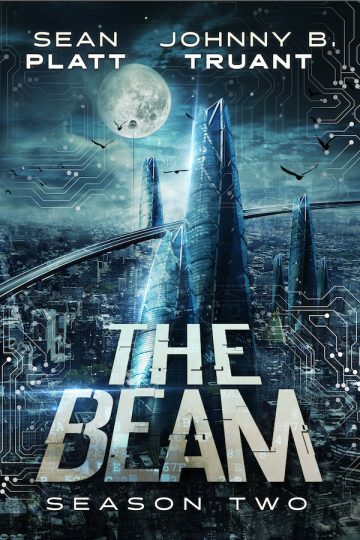 Download the second season of The Beam NOW!